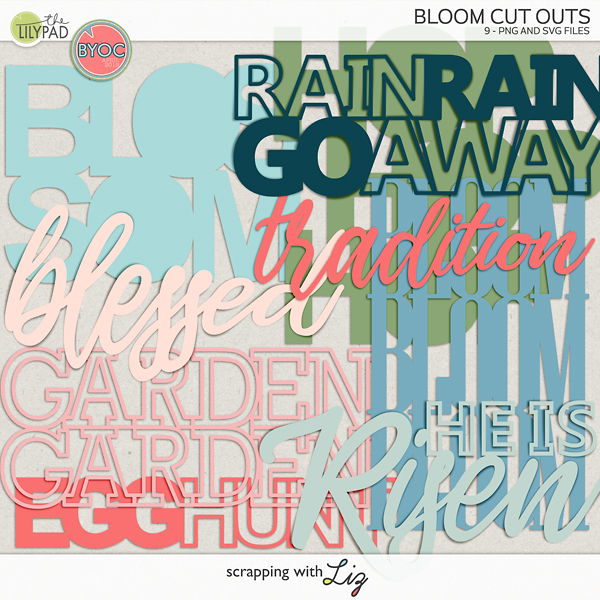 Scrapping with Liz: 2015: Week 1 is Done! 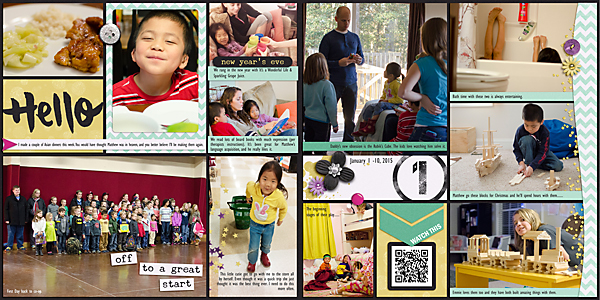 I love the style of my 2014 Album, and I debated using those templates again. I decided I needed to try something fresh and new for 2015. 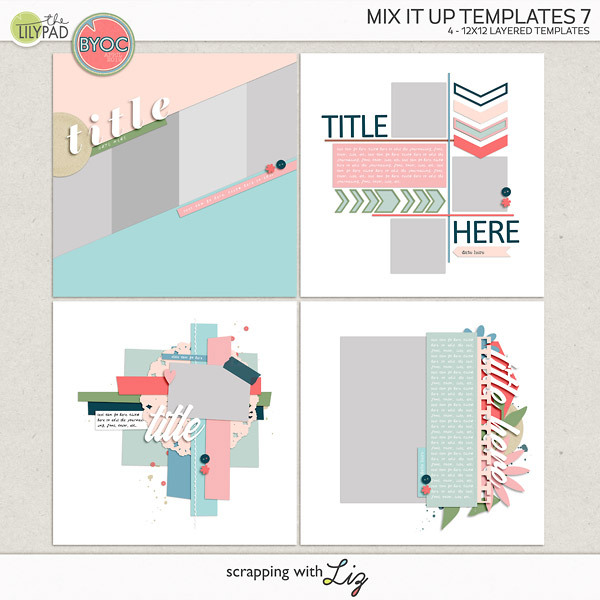 Plus, according to a lot of you, you wanted more Project Life style templates. You asked, I answered.....in my own SwL Style, and I decided I should try scrapping with them too. After scrapping this week's page I'm so glad that I'm embracing this new style (did I mention I also had a lot of fun making these templates?!). 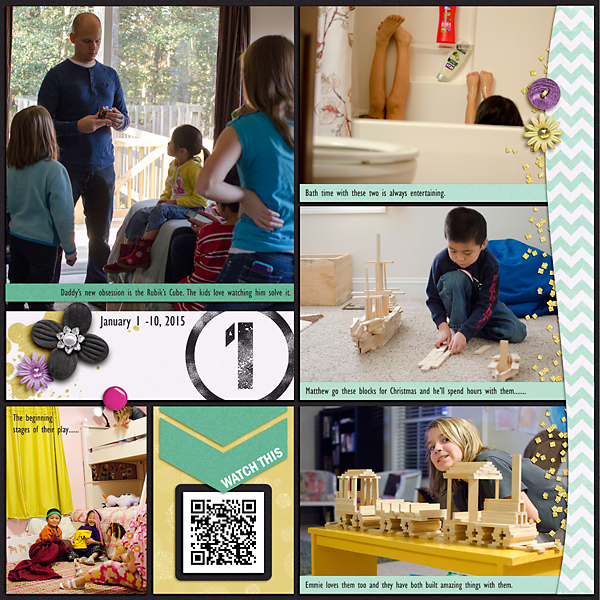 These templates were super quick and easy to use, I can fit a lot more photos on these pages, there's a handy QR code spot, it could look great with a lot or a little bit of elements, and I can easily use those fun journal cards that are out there. Oh, and I love that it's easy to add little bits of journaling all over the page. I did have to change up one spot on the template because the photo didn't fit quite right. See that food photo on the top left? I use the move tool to squeeze that clipping mask to make it landscape and then I duplicated it to make a second clipping mask. I took that second spot and sort of made my own journal card looking spot with paper and word art. Easy-peasy. 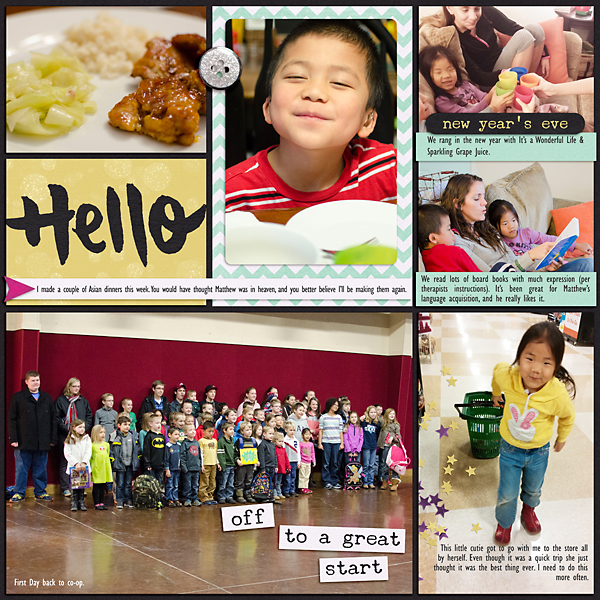 To sum it up: I love the templates and I love my 1st 2015 weekly page. What are your plans for 2015 album? Jenny - I read your post the other day. I do hope you share your pages every month! I love them.